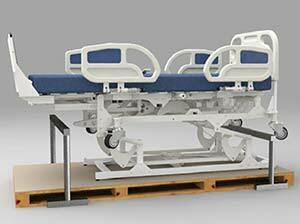 The Total Lift Bed™ reduces the caregivers and patient related injuries from getting in and out of bed. 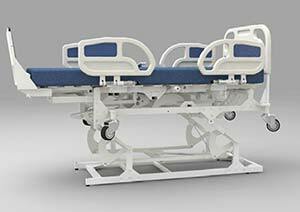 The Concept: The Total Lift Bed™ is the only bed having a motorized Foot lifter ™, moving in and out, allowing positions which are not possible in any other bed. 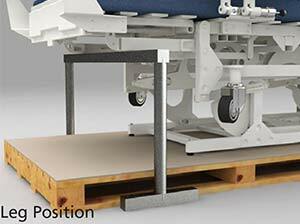 The Total Lift special Foot Lifter ™ adjusts itself to the user height, and only then will allow the bed to start tilting. 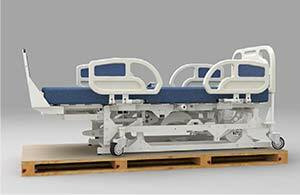 The Patent-Pending technology of the Total Lift Bed™ moves the Foot Lifter™ towards the feet of the patient/user, and only after making contact will the bed start the tilting motion, preventing any unwanted movement of the patient in the bed. 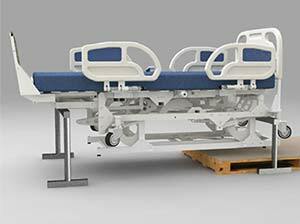 If positioning the bed to a fully standing position, the Foot Lifter™ will gradually lower the patient so when the bed is in a fully standing position the Foot Lifter™ will be parallel to the floor, allowing the patient to simply walk out of bed, with or without assistance. The patient can also be tilted for treatment, in any desired angle, for as long as needed. 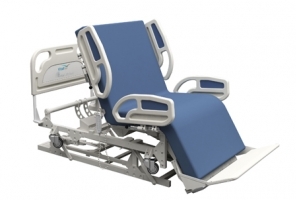 Designed to improve safety and quality of life for people who have difficulty performing daily personal care activities, such as getting in and out of bed as well as for the professional nursing staff, caregivers and family members who care for them. 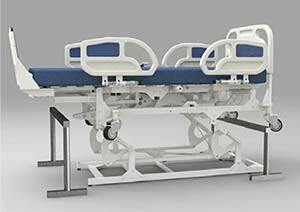 Doing More than Any Other Bed: The Vitalgo Total Lift Bed is the ideal solution for safeguarding users and caregivers, such as family members, nurses and therapists. 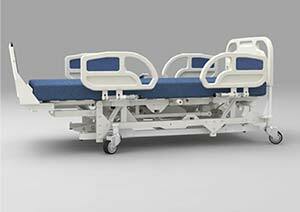 The Bed can bring the patient to all possible position, with an easy press on the Handset control. 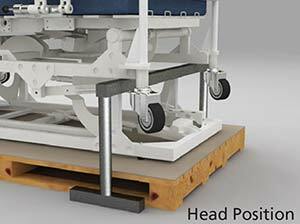 Fully Standing position with foot lifter parallel to floor. 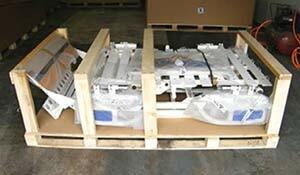 Unique Smart Break casters design, controlled by the hand set, for maximum stability. 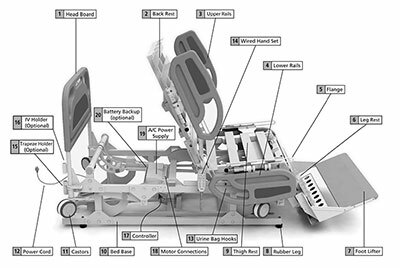 Please click on the image to view an enlarged picture depicting the various parts of the Total Lift Bed™. Step 1 - Bed on crated Pallet. 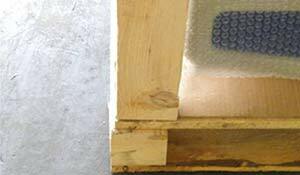 Step 2 - Remove Box from wooden Pallet. Step 3 - Bed on crated Pallet. Step 4 - Remove bands holding Head Board and connect Head Board to flanges. Step 5 - Unscrew 4 nuts Which connect the bed to the Pallet. The screws are in 4 corners of Bed. Press buttons 3 & 4 together. You will hear beeping sound. If you don’t hear, press again until you start hearing. When beeping stops, press buttons 1 & 2 at same time. 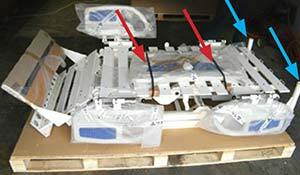 The bed parts will start moving and all actuators will move into their reset position. Keep pressing until two beeps are heard and bed stop moving. See bellow the way the Bed should look after Reset. 1. When pressing 1 & 2 and bed starts moving - First movement of Bed should be up horizontally. If the beds does not move up, check connections and restart the steps above. 2. When pressing 1 & 2, short beeps might be heard. This is normal. Continue until the two long beeps are heard and bed stop moving. bring Bed to sleeping position. Step 9 - Assemble the metal bridge frame. They are in two different heights. The low one should be placed in head area and the higher one in legs area. 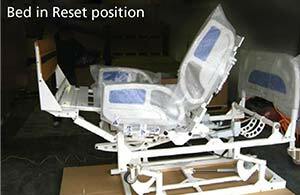 Step 10 - Press button 5 until Bed elevates to highest position. 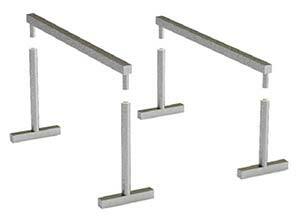 Place the metal frame according to positions in the pictures. 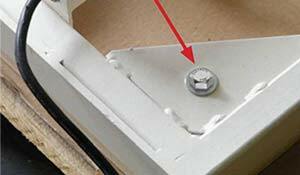 Step 11 - Press button 6 until you Lower the bed so it will touch the metal frame. the pallet anymore. 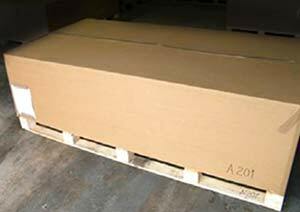 Step 13 -Pull the pallet from under the bed. floor and Metal Bridge are loose. Step 15 - Remove Metal Bridges. Bed is on wheels. You can now roll Bed. Before first use of the Bed, or in case a functioning problem, the Bed must be initialized. Step 1 - Press Buttons (3) & (4) together – Continues beeps will be heard. Continue pressing until the beeps stop. Step 2 – Press Buttons (1) & (2) together. The bed will bring itself to the Initialization position step by step. Continue pressing until Two beeps are heard. To ensure the Bed has reached its initialization position, press again and verify the two beeps are heard. Important remark: In Initialization, the first movement of the bed should be horizontally up. If the bed does not move to its highest position something is wrong. 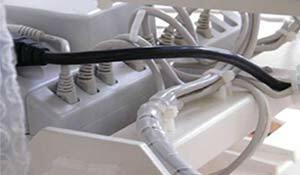 Check all connections and redo steps 1 and 2. if the bed still does not work consult with VitalGo’s authorized technician. Step 3 – Bring the Bed to the Sleeping position with Button (9). At the end of the initialization procedure all motors should be in end of stroke position (in or out).